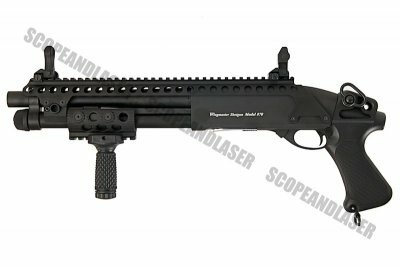 This particular G&P shotgun is based on their original Shotgun shorty design with a civilian style foregrip and a top rail for sights. 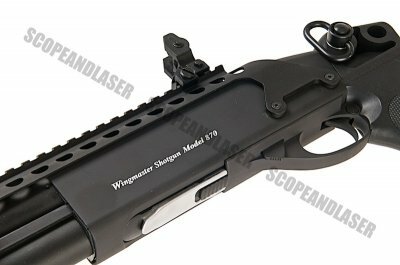 G&P shotgun are extremely popular shotguns, the M870 shorty in particular feels like the real thing. 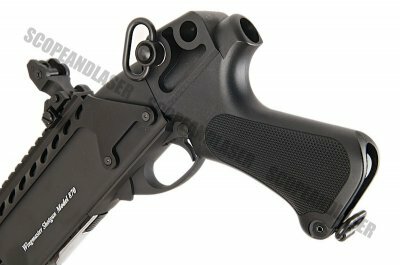 The real steel version is used worldwide by law enforcement agencies. 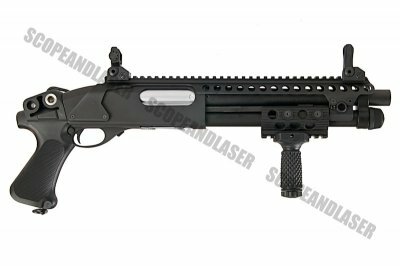 You are looking at a pump action 6mm caliber M870 shorty by G&P. 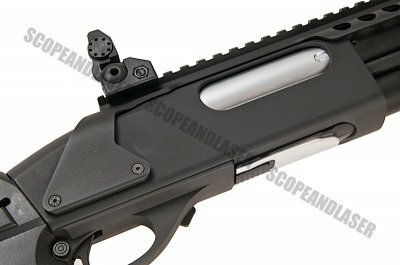 This shotgun is a magazine fed system and does not use external shells.